Are you a stamp collector or want to get your kids or grandkids started? 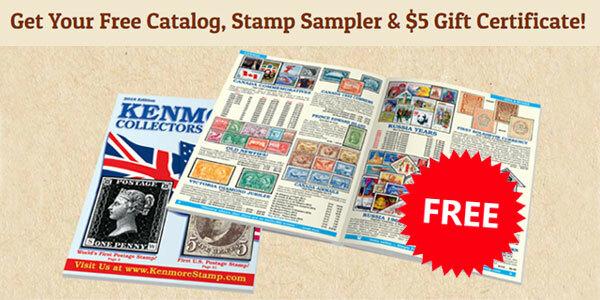 Sign up to get a Free Kenmore Stamp Sampler, $5 Gift Certificate and 96-page catalog! About Kenmore Stamp: Kenmore Stamp Company started in 1932 in a spare office at the Niagara Falls Smelting and Refinery Corporation in upstate New York. Ernest Greenway Jarvis, president and sole owner of the refinery had been advised by his doctor to take up a hobby. He was badly in need of rest and relaxation. Overwork and fatigue were threatening his health.